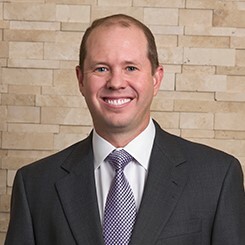 “I take the Cooper Complete Basic One Iron Free and Cooper Complete Advanced Omega-3,” says Michael C. Chapman, MD, a Cooper Clinic preventive medicine physician and Medical Director of Cooper Clinic Platinum. With so many supplements available, how do you know what’s best for you? Below, Dr. Chapman discusses what he recommends most often to his patients and why you may need to be supplementing even if you’re eating a balanced diet. Think you’re getting enough vitamin D? Think again. Dr. Chapman says vitamin D deficiency, which occurs when the range is less than 30, can put people at an increased risk for heart disease, breast, colon and prostate cancer, anxiety, depression and bone loss. What’s causing so many people to become deficient? Dr. Chapman says generally, 1,000 International Units (IU) of vitamin D supplementation can raise levels by 10 points. He recommends 1,000-2,000 IU of vitamin D a day. “Our Cooper Complete Basic One has 2,000 IU, which is why I recommend it to my patients,” says Chapman. Omega-3 supplements are among the most important supplements and one Dr. Chapman recommends most often to his patients. “Omega-3 can benefit overall heart health and is the basic building block for neurons in the brain,” explains Dt. Chapman. However, Dr. Chapman says many of the patients he sees still aren’t getting enough. “Generally we say cold water fish have omega-3, so your fattier fish such as salmon, tuna and farm-raised trout are excellent sources,” says Dr. Chapman. Other sources of omega-3 include leafy greens, like spinach, as well as chia seeds and walnuts. If you’re a male over the age of 50 and find yourself using the restroom throughout the night, it could be the first sign of an enlarged prostate. “As men get older, their prostate gets bigger and it can cause urinary voiding or obstructing symptoms,” says Dr. Chapman. For those patients, Dr. Chapman recommends Cooper Complete Prostate Health, which contains 200 mg of saw palmetto. Research studies have shown that saw palmetto can help reduce benign prostatic hyperplasia (BPH) symptoms, including frequent urination. “Some studies show 50 to 60 percent of men who have mild to moderate prostate symptoms report improvement while taking a supplement,” says Dr. Chapman. That being said, he warns his patients that taking a prostate supplement requires patience. If achy joints are your problem, Dr. Chapman says Cooper Complete Joint Health Supplement might be the answer you’re looking for. He’s seen the results first-hand. “When my father-in-law was in his mid-70s, he found he couldn’t use his computer keyboard because of his arthritis,” says Dr. Chapman. His father-in-law was taking an over-the-counter joint formula supplement, but wasn’t finding much relief. The Cooper Complete Joint Health Supplement was originally developed for people who suffer from osteoarthritis, but can also help provide relief to those who suffer from tennis elbow or other repetitive motion pain. Did you know 99 percent of your body’s calcium is stored in your bones and teeth? The remaining one percent plays a big role by helping blood vessels move blood throughout the body and by helping muscles expand and contract. Like all vitamins and minerals, Dr. Chapman says he encourages his patients to get their calcium through their diet, but he knows sometimes even that isn’t enough. Recommended doses of calcium are different for men and women. Chapman recommends women consume 1,200 to 1,500 mg calcium/day and that men consume 1,000 to 2,000 mg calcium/day. Chapman suggests people keep a food journal to keep track of how much calcium they’re consuming. You can find supplements similar to those listed above in almost any drug store or online health retailer in the world. So why does Dr. Chapman recommend Cooper Complete vitamins to his patients? 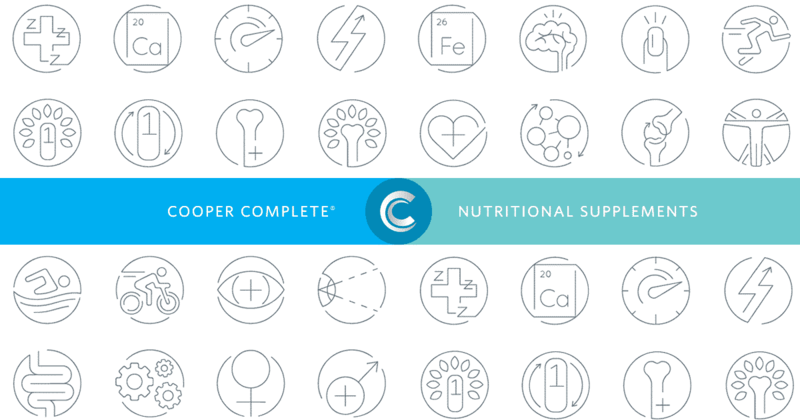 For Dr. Chapman, who has been taking Cooper Complete vitamins for nearly a decade, taking fewer vitamins but gaining more nutrients is what makes Cooper Complete so great.